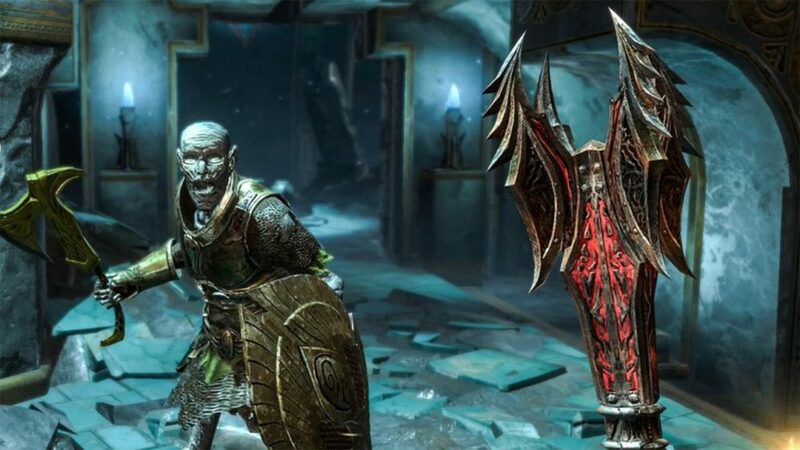 Bethesda is trying something a little different with Elder Scrolls Blades. Rather than keeping its esteemed series to consoles and PC, Elder Scrolls Blades is a mobile spin-off title. It still has all the dungeon-crawling and exploration fans know and love, it’s just in a more bite-sized package. Here’s how to get Elder Scrolls Blades early access. To sign up for early access to Elder Scrolls Blades, you’ll need to first head over to this link. When you’re here, you’ll then either need to sign in to your Bethesda.net account, or if you don’t already have one, create an account for free. Both of these things can be done via clearly labeled links on the page. Once you’re all signed in, you’ll have to let Bethesda know what mobile device you’re using. After answering this, you should see the screen above. That doesn’t mean you’ll immediately be into Elder Scrolls Blades early access right away, though. As you may have spotted in the screenshot above, once you’ve signed up for early access, you’re not ready to go just yet. You’ll now need to wait until Bethesda emails you informing you that you’re all ready to start playing Elder Scrolls Blades. From what we’ve gathered, there’s no deadline for Elder Scrolls Blades early access signups, but there are only a set amount of compatible devices for the game so far, we’ve listed these down below. As we mentioned above, there’s no guarantee that you’re going to get an immediate invite to Elder Scrolls Blades early access. You’ll just have to wait and be patient and hope that Bethesda sends you that email sooner rather than later. If Bethesda makes any announcements regarding the rolling out of the early access phase, we’ll be sure to update this post and let you know. That’s everything you really need to know about how to get early access to Elder Scrolls Blade. For more tips, tricks, and guides, be sure to search for Twinfinite.